It’s the biggest show in town. The cost, they reckon, is $1000 a minute, or $1.2 million a week. No less than 12 senior counsel, 50 barristers and solicitors all up, strewn across four bar tables. Welcome to the multi-party class action before Justice Michelle Gordon in the Federal Court in Melbourne. Amid the slew of claims and counter-claims, two class actions of shareholders are suing the two Centro entities and Centro is suing its auditor, PricewaterhouseCoopers. Somebody missed a cool $3 billion debt in the Centro accounts in 2007 – simply mistook a current liability for a non-current liability. Whoops, easily done. Now we have the ”it’s not my fault” game – a monumental finger-pointing exercise in the big kids’ playground, whose principal fascination is the inner workings, or non-workings, of a major-league auditor. 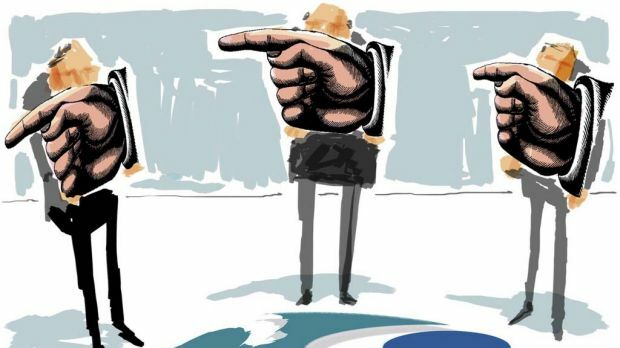 Given the top audit firms signed off on the likes of Allco, Babcock, MFS, City Pacific, ABC Learning, Rubicon – you name it, every major corporate collapse – the audit profession is yet to bear one scintilla of legal blame. It has an ”out”, namely: ”We can only rely on what directors told us.” It’s an excuse made in heaven and indeed the defence of PwC in the Centro case. How accountable are the accountants? Do they really stand by their opinions? We tested the proposition this week with a bet. As a global leader in its field, sporting almost $1 billion in revenue in Australia and $23 billion world-wide, Ernst & Young could comfortably afford to engage in a friendly wager with this lowly and indigent member of the fourth estate. E&Y had signed off on a set of company accounts as ”true and fair”, as you do, and we simply bet them $100 that these accounts were not correct. The company in question is Energy World Corporation, an aspiring producer of liquefied natural gas plants, of which we wrote last week. Alas, neither the firm nor the individual auditor to the company – who was unavailable on the telephone – was prepared to accept the bet. Out of sheer goodwill though – and knowing how fastidious the firm is about its fearless and independent audit opinion – we even narrowed the terms of the bet in our counterparty’s favour. Not a whimper from the venerable giant, as it stood fixed, silently and resolutely refusing to put its money where its mouth is. Maybe it’s the size of the bet. These guys wouldn’t light their cigars with a measly $100. It might sound old-fashioned – we’ve long clung to the notion that public information, like water, ought to be free. And we confess to not having checked the costs of obtaining company extracts from the regulators in Liechtenstein and Burkina Faso but, as far as can be ascertained, company searches in Australia are the most expensive in the world. Readers may have heard us labouring this point before, to the verge of vexatiousness, but it has never been refuted. Anyway, this may now have changed. In a welcome reform, the Australian Securities and Investments Commission has reduced its search fees from $36 for every two pages by introducing a two-tiered system. ”Certified” copies cost $36 for two pages but ”uncertified” copies cost $18. Er … que? What is certified? It means stamped and approved by ASIC as true. It is a most ingenious marketing ploy, one other agencies might like to follow. Damn, we just broke our vow not to be snide. Lower charges are a good thing. Well done. Now there are three classes of information at ASIC: 1. Certified, 2. Uncertified and 3. Missing. Although it does appear something is also being done about the latter category. As reported in these pages, there has been a systematic failure by mining billionaires and multinationals with government contracts to file their annual accounts in accordance with the law. Yesterday, however, the regulator issued a notice that said Gina Rinehart’s Hancock Prospecting and its related entities had late last year applied for relief from having to lodge financial reports. Funny, ASIC had never told us that before. ”ASIC declined these relief applications on 2 March, 2012,” said the statement. It had little choice. The regulator doesn’t have the powers to grant retrospective relief. Yesterday’s statement said the decision to reject Hancock’s application for relief is now subject to review before the Administrative Appeals Tribunal. To set the record straight, ASIC has still not taken enforcement action. It is now saying that Hancock – having failed to file its past two years of financial reports – has dragged it before the tribunal to appeal for an exemption, which it can’t grant anyway. One can only surmise that somebody in Canberra just said ”fix this mess” but instead of using enforcement powers to fix things, the regulator somehow finds itself defending an action in the AAT.